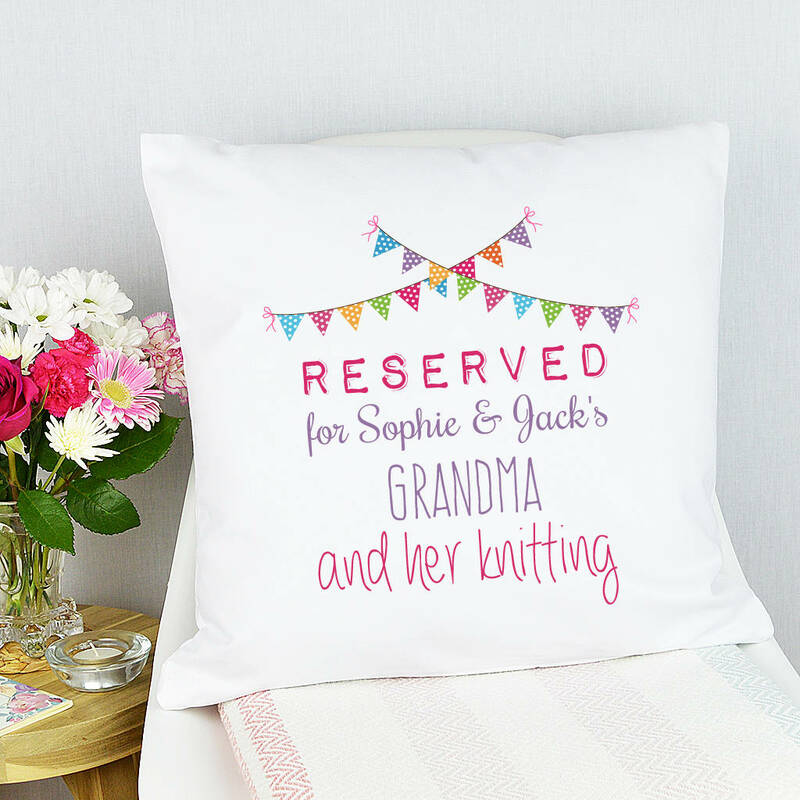 Our Personalised 'Reserved for Grandma and her Knitting' Cushion, makes a great gift for any Grandma from the Grandchilden. Any wording can be printed, such as Knitting, Crocheting, Embroidery, simply type the wording that you would like printing into the option box and we will print it for you. 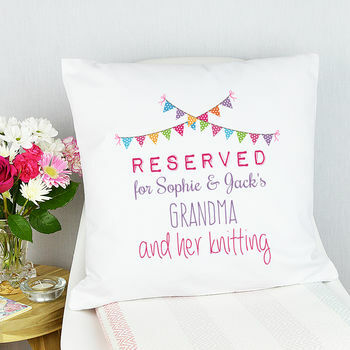 Made from a white cotton canvas fabric, it will match most people's interior decoration, from a modern and contemporary home to a rustic country cottage, this cushion will fit in just about where ever the owner decides to place it. These cushions make the perfect gift for any occasion, Birthdays, Christmas, Mother's Day, Easter, or if you just want to treat a special family member or friend! The cover is made from a White 8oz cotton canvas fabric.